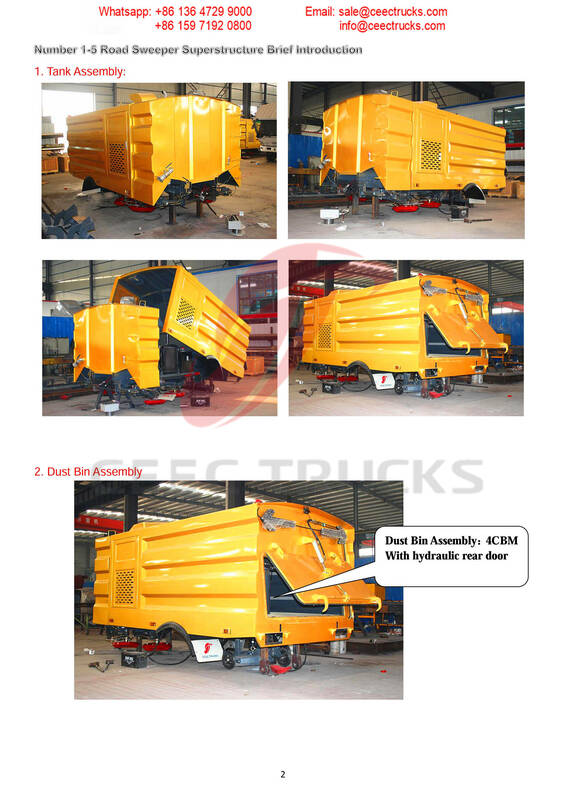 Road sweeper Up-body (also called street sweeper superstructure, municipal vehicle, sweeping car up-body, street cleaner sweeper and cleaning truck refit body, street cleaning vehicle structure) is suitable for brushing, suction and transportation of dusts, leaves, mud, soil, sand, stone chips, gravels and other small particles on the ground of city roads and areas. 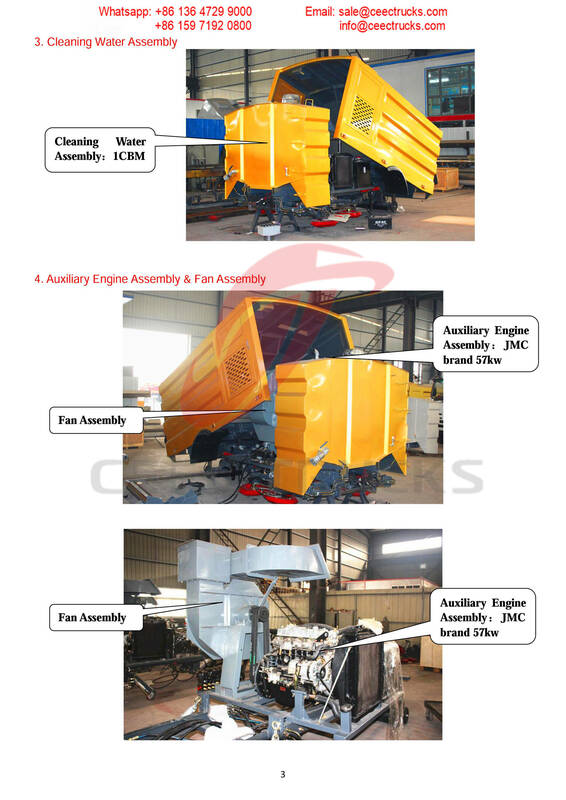 This unit shall be suitable for dry type cleaning job as well as dust suppression with water spray in the road side and narrow lanes. 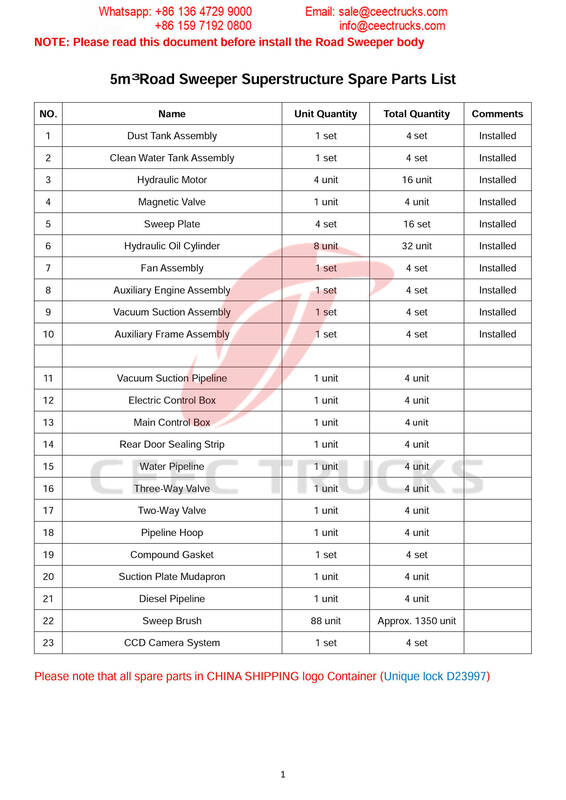 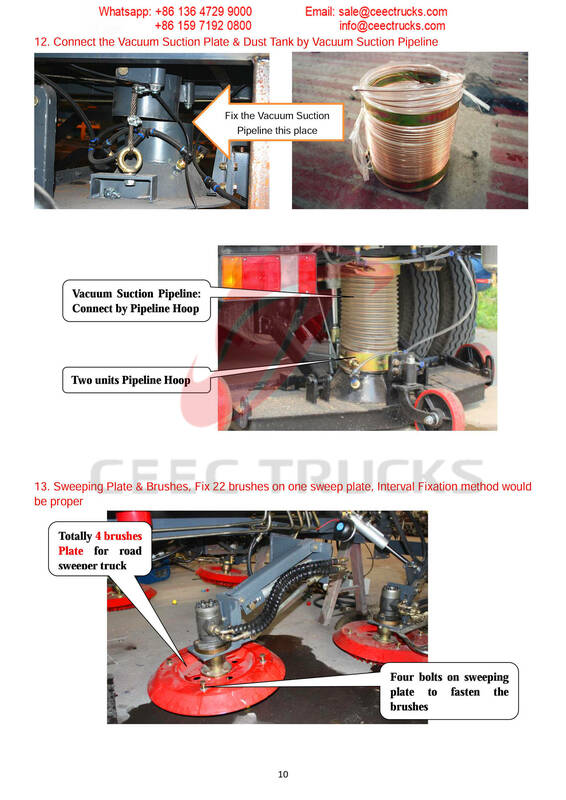 The CEEC TRUCKS produced & export Phillippine ISUZU 5CBM road sweeper truck is composed by chassis, auxiliary engine, air blower, magnetic valve, debris bin, water bin, sweeping system, suction system, water sprinkling system, hydraulic system, electrical control system, etc. 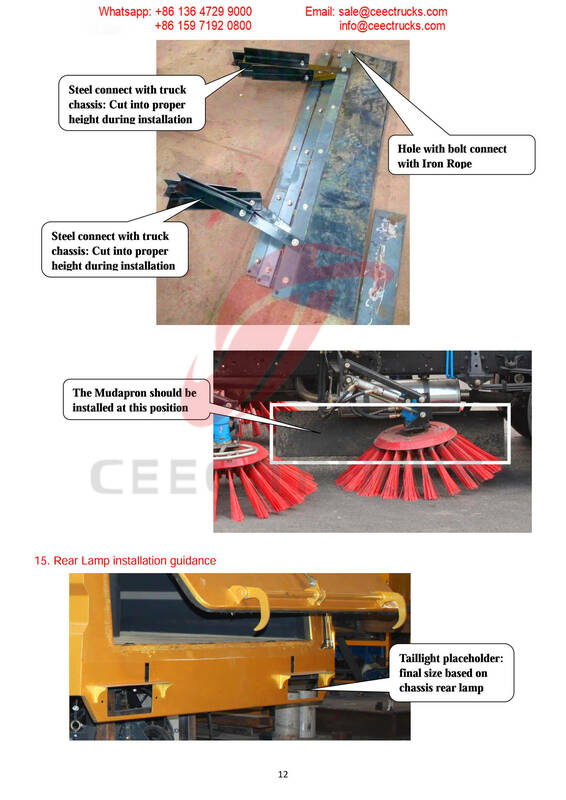 Also for some snowing country, our road sweepers can also adding a device of snowplow, this road sweeper could also be used to clean snow on the road. 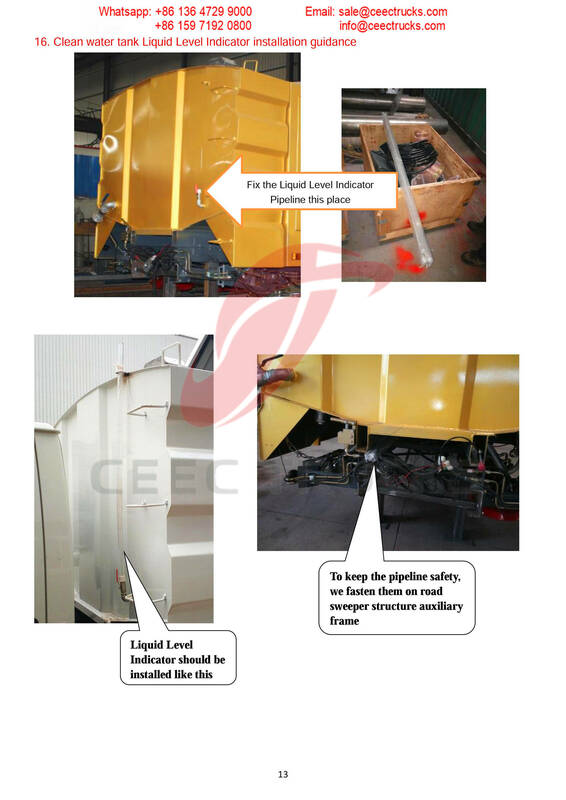 The below Owner's Manual for 5 CBM Road Sweeper upperstructure is export Dubai, mainly service for city Environmental Protection works. 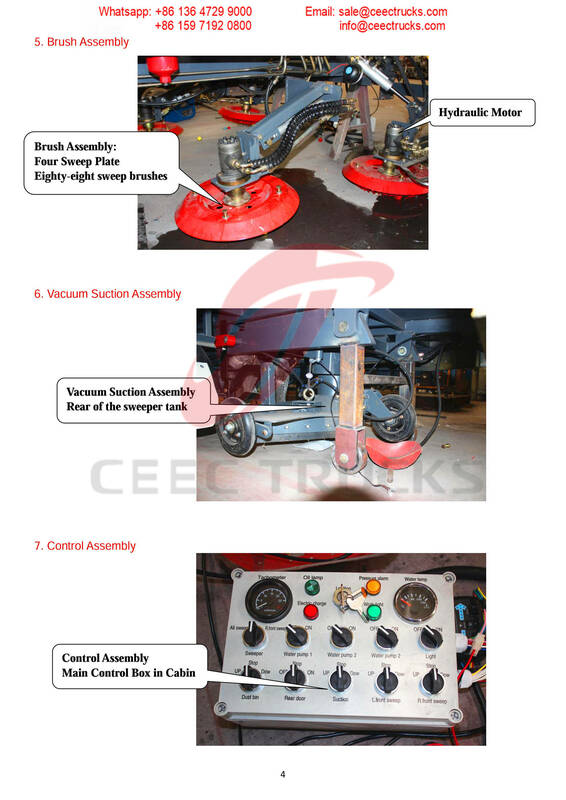 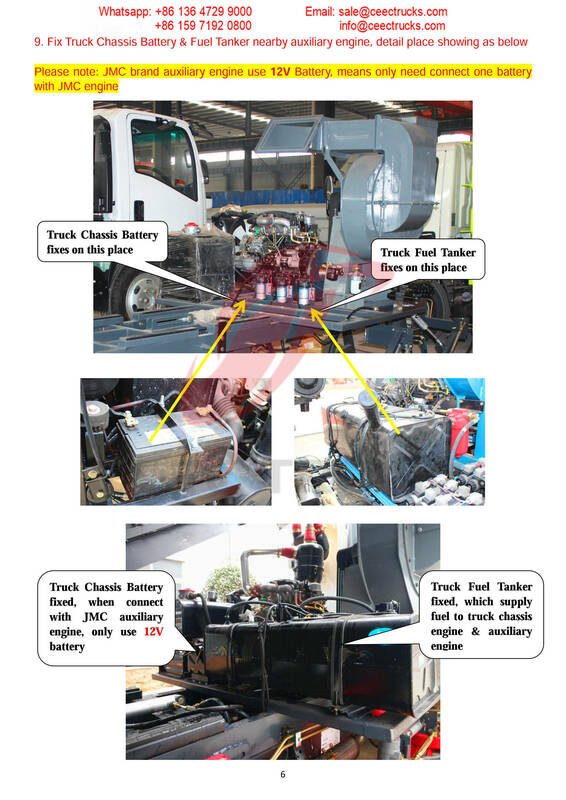 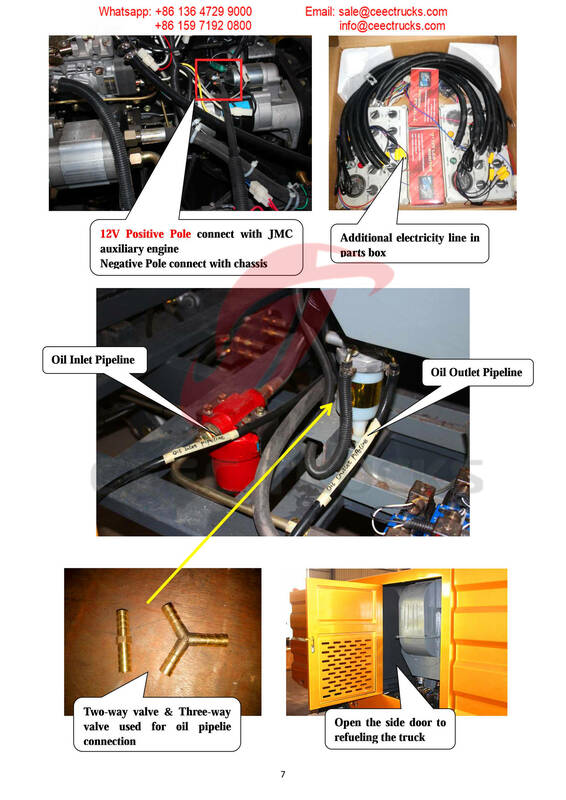 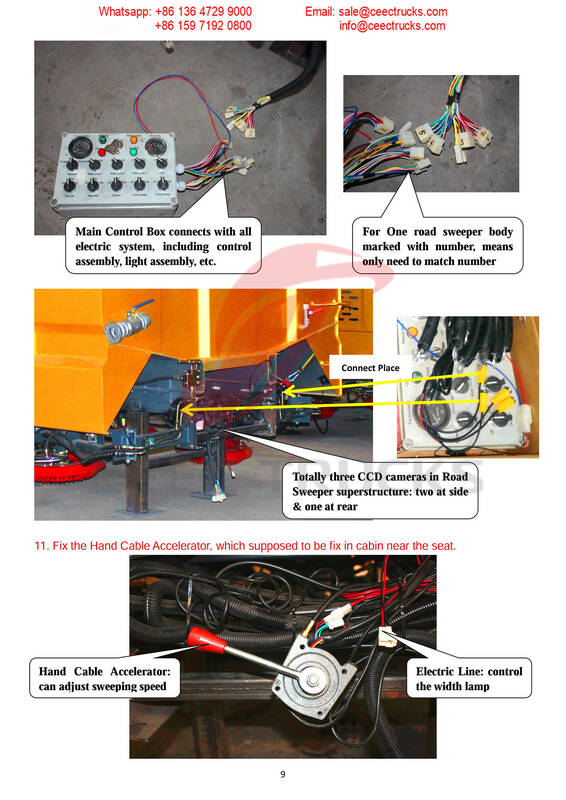 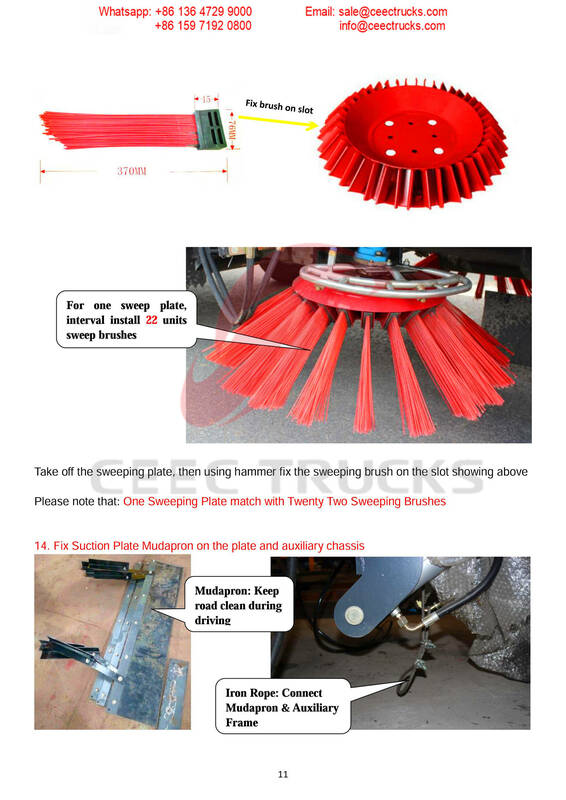 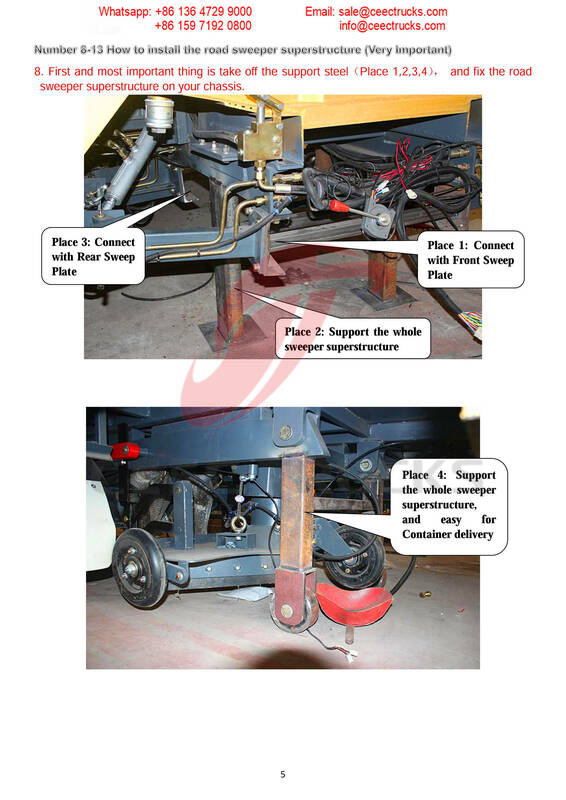 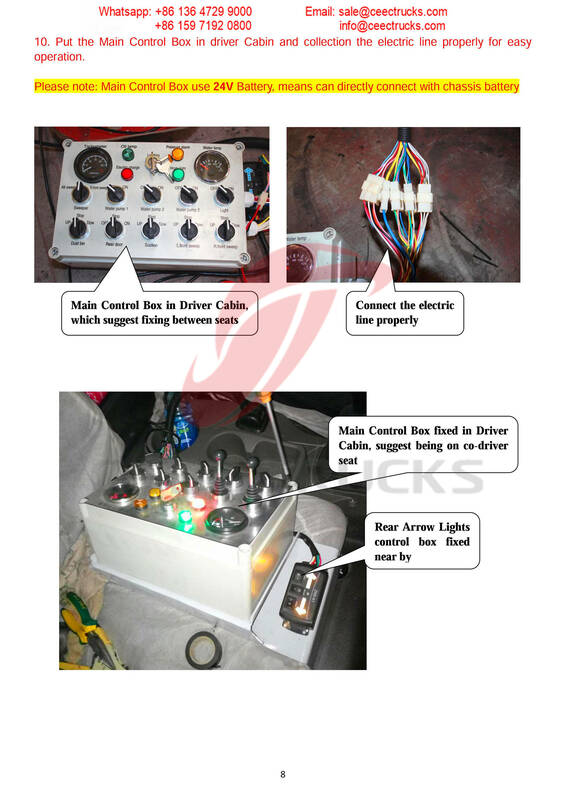 CEEC Guidance--How to refit your Road Sweeper Superstructure?